What Can You Do About Painful Sensitive Teeth? If thinking about grabbing your morning cup of coffee or an icy green drink makes you think, “Ummm, I’m going to pass,” then you’re probably experiencing that sharp twinge of pain which comes from anything hot or cold! Tooth sensitivity from hot or cold beverages (and foods) may only happen once or twice, or it may be more consistent. Sometimes other things like sweets or even sour foods may cause twinges. It’s helpful to know what might be behind the problem in order to minimize or eliminate the cause of your tooth sensitivity. Which means it’s time to talk to the expert—your dentist! 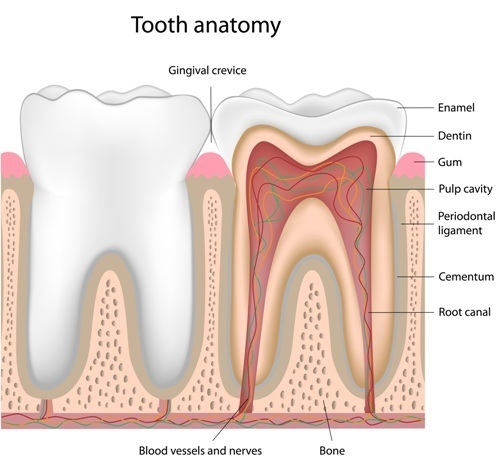 Your teeth are made up of layers, and the outer protective layer (enamel) is what keeps the nerve endings in your teeth safe from twinges of pain. When that outer layer is damaged or compromised, that’s when you may start to feel sensitivity. Tooth sensitivity can also simply be due to a recent dental procedure. If it’s due to teeth whitening or a dental restoration placement, the discomfort will be temporary. If you want to be able to eat ice cream or drink hot cocoa in peace, then take care of your smile. Brush and floss your teeth properly to promote healthy teeth and gums. Harsh or improper brushing causes gum recession, which exposes the sensitive layer of the tooth (a.k.a. dentin). Brush your teeth gently with a toothbrush that has soft bristles. Or better yet, use a Sonicare electric toothbrush. It’s also beneficial to avoid or limit certain foods like soda, sticky candy, lemons, or even high-sugar carbs as these are all acidic and attack your enamel. Now, if you do your part at home and your diet is superb, it’s true that you may still experience that unfriendly twinge. The path to relief from tooth sensitivity can be made clear if you visit the dentist. Our dentist, Dr. James Powell, cares about your concerns and wants to hear about your symptoms. Once the underlying cause can be determined, it can then be treated. Treatment for it may be something simple like placing a dental filling, or something more complex like a gum graft to protect exposed tooth roots. But only once your specific symptoms and conditions have been considered can the effective treatment commence. Another valuable bit of information about sensitive teeth is that you can be proactive. Sealants aren’t just for children, and they can aid in preventing cavities as well as sensitivity. Also, if you clench or grind your teeth, getting an occlusal guard can stop more damage from being done. Sometimes there is no apparent cause for tooth sensitivity. Whether this is the case or you’d just like to lessen the pain you experience, you should get a fluoride treatment at your dental visits to strengthen your tooth enamel. 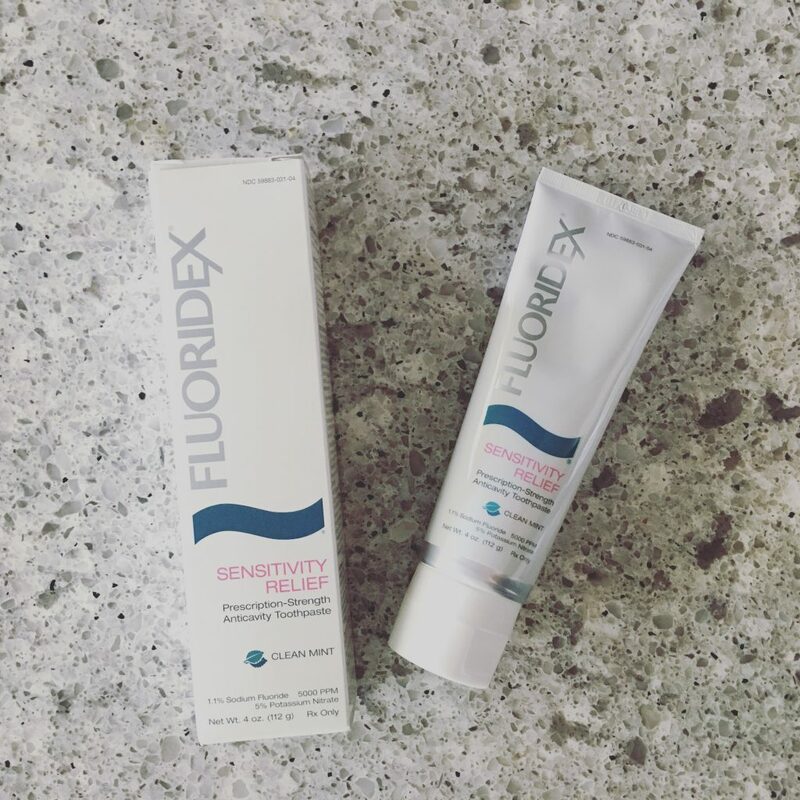 Additionally, using a prescription fluoride toothpaste at home can block the microscopic holes in your tooth’s surface to protect the nerve endings, so your teeth will be less sensitive! Keep in mind that you may need to use desensitizing toothpaste for a week or two before results are obvious. To learn more about treatments for tooth sensitivity in Palmdale, California, and to set up your next reservation, contact our dental office at (661) 349-7725 today.